Celebrate the 131st birthday of one of Singapore's beloved and iconic cultural institutions! 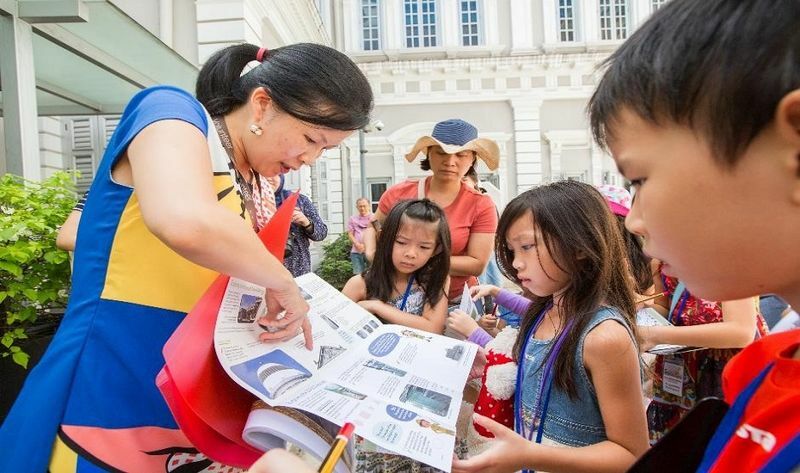 Come discover the National Museum of Singapore's history, its building, and its galleries, through exciting activities and "dialogues" with the artefacts through engaging theatrical acts. Enjoy live music performances, building tours, craft activities, food and more as you reacquaint yourself with the National Museum of Singapore. A specially designed dining menu and specialty chocolates inspired by the museum's Magic & Menace exhibition at the Goh Seng Choo gallery. F&B pop-ups, live music performances, museum merchandise, and more!